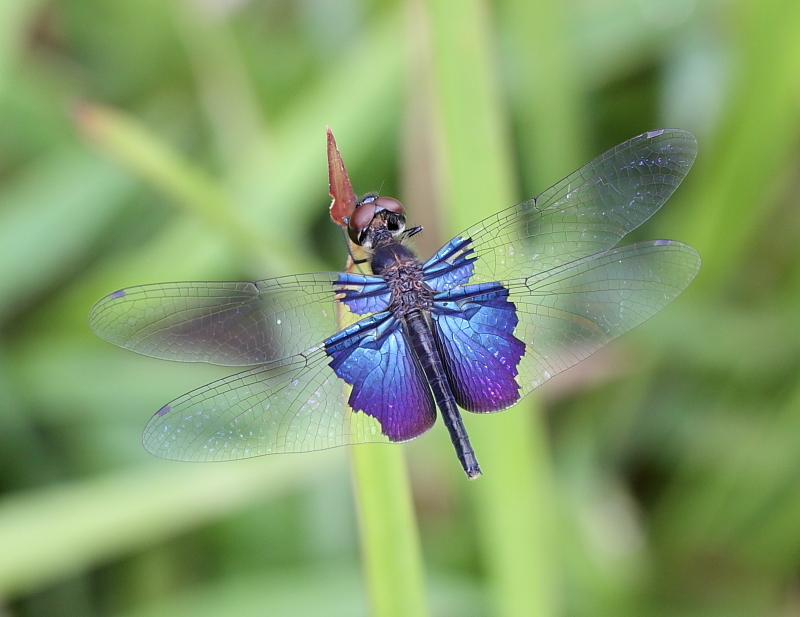 Sapphire Flutterer, an uncommon dragonfly, tend to inhabit ponds, streams, and reservoirs. So far, I have only encountered this species a couple of times, at MacRitchie Reservoir. This species is very distinctive and unmistakeable in appearance. Males and females are similar. Eyes reddish brown on top and dark brown below. 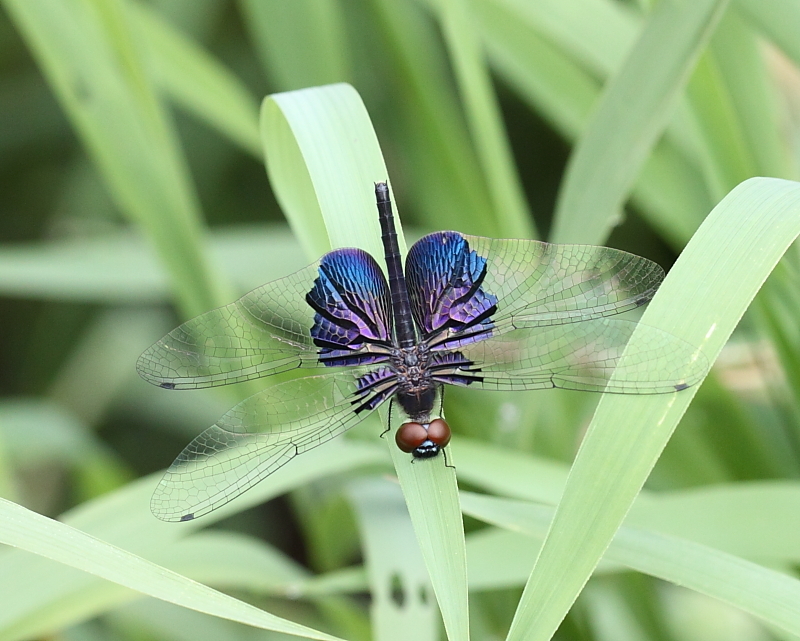 Thorax and abdomen are dark metallic blue. 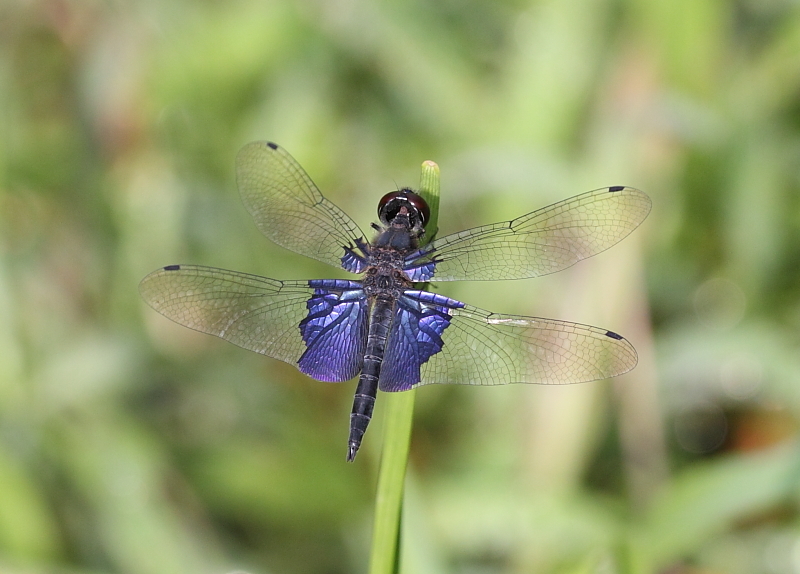 Most distinctive are a pair of wings that have a broad and deep purplish blue patches. Males tend to be brighter and females more darker in colour. 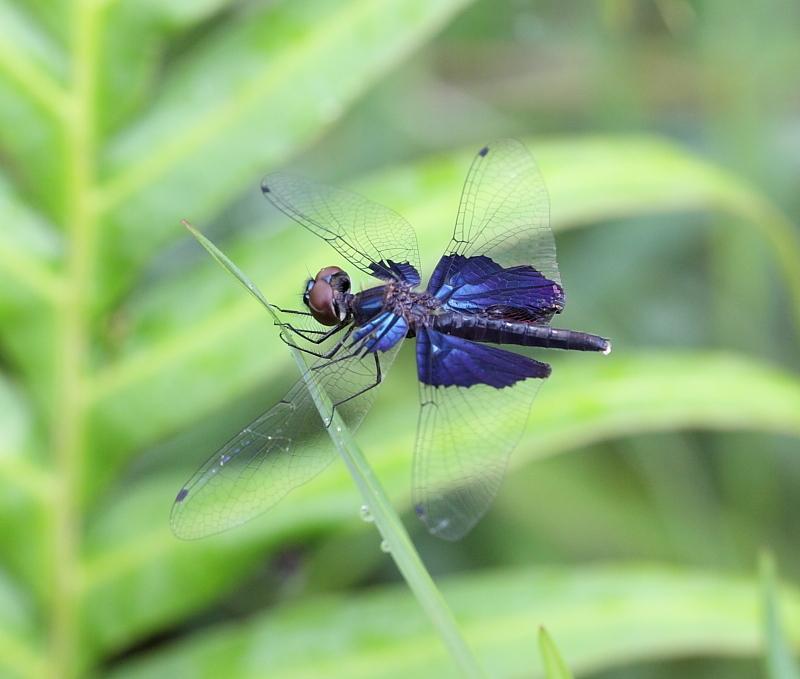 R. triangularis is the smallest Rhyothemis species that can be found in Singapore.